I like to keep posts on a bit of a time lag but sometimes you get caught off the grid for longer than expected. It also helps to hesitate on posts so you can include more current events like LAVA! The Big Island was Whitney and I’s least favorite island of the four we visited but now knowing that we stood in the exact location the earth is splitting open and spewing lava makes me feel excited. It was a running joke between us that we were in some way channeling the earth’s energy. Turns out we may be on to something. First the monsoon and mudslides on Kaua’i directly following our visit and now volcanic eruptions on the big island. 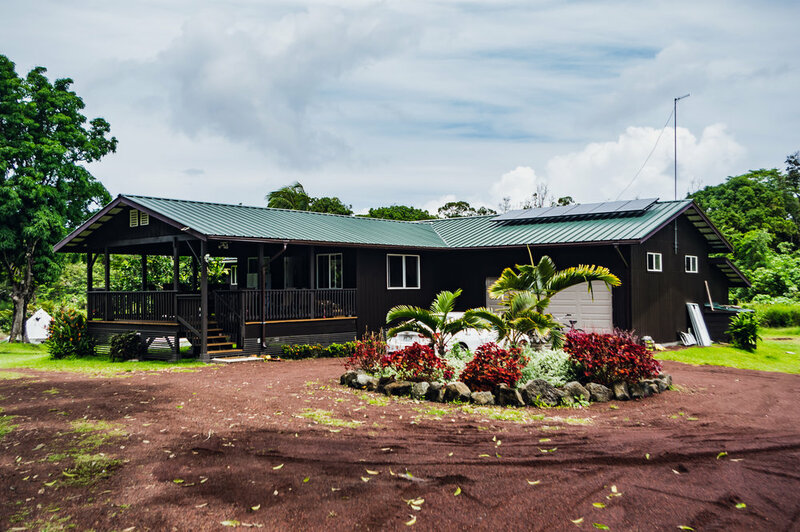 Our night in Pahoa consisted of an off-grid, self- sufficient AirBnb in the middle of the jungle. Pahoa is the area where residents are evacuated and at the time of writing lava has covered more than 117 acres. Although I wasn’t aware of the off-grid nature of our lodging before we arrived the other tenants clued us in. Solar for power, solar to heat water for showers, and satellite for communications. It felt like living in my van with standing room and running water. Coqui frogs loudly croaked you to sleep at night as if you were surrounded by millions of them. In the morning we met the very gracious owners and he offered suggestions of local spots to check out and snorkel gear to borrow. We did not spend too much time but all the areas he pointed out were gorgeous and worth the short drive. Kapoho Tide Pools, Ahalanui Beach Park, Issac Hale Park and Lava Trees State Park. I have only a few photos of these places of which could soon be covered in lava and toxic gas. 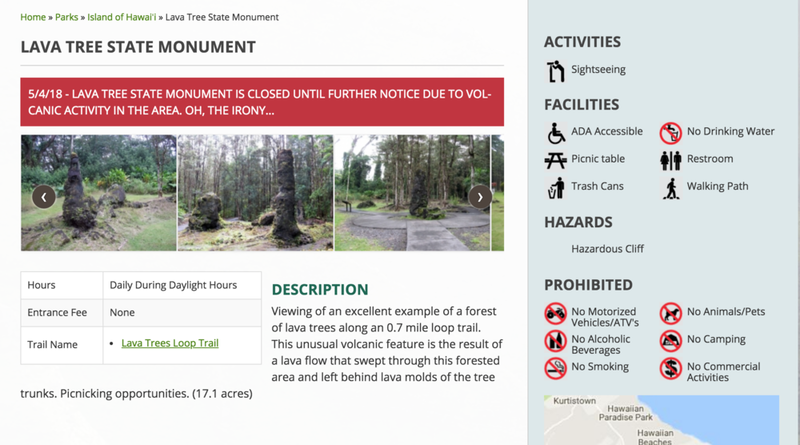 Check out the awesome alert from the Lava Trees park website. Classic. This journey has taken me to many places that I loved, many that I hated, and some I felt indifferent about. 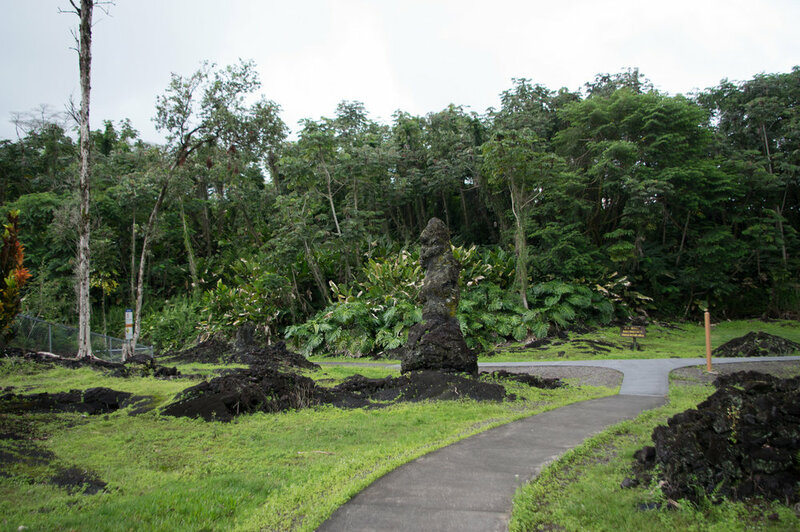 Big Island was one of the indifferent places, however gorgeous it may appear. It created a whole new category after the update of volcanic activity on the land we just walked upon. I spent an hour in Panera looking through dictionary and thesaurus dot com to look for a word for how I feel about it. I didn’t find a word but I can tell you it is a positive feeling. I am very thankful that none of the weather affected our trip in a major way like an eruption could have. As you can see from the list I was not very impressed but looking back I am very very very glad we made the trip. As one final note, if you visit the big island (if you can) I would recommend that you rent a car from the airport. The Turo rental prices are a bit higher than the regular rental cars and you MUST have a car to get around this island. By the way our car was $56 total for three days. Would you like the energy brought to a town near you? Drop me a line and I will see if I can arrange a visit. Price negotiable.